The uniqueness of each viewpoint, each standpoint, can obviously be "overcome" only by changing the viewpoint to other viewpoints. And returning. Such an alternation alone, which can also appear as constant change, makes up the unity of the world. Apprehending this dynamic unity exceeds mere consciousness because consciousness (I) always tends to circumscribing condensation, which is creating symbolic, quasi-static objects. In contrast, the change to other viewpoints – other individual attitudes – is of course more open. I call the perception of this alternation awareness. Whatever consciousness is, it must have structure. Even emptiness can be defined only in contrast to abundance and nonduality versus duality (as the word says). Or it's just "Mu". And that would be the end of this paper - and everything else. I suggest we allow ourselves some more time and try to start from a consciousness that is as concrete as possible, from a conscious object, say a glass of water. We perceive something that we distinguish from ourselves. We also differentiate it from its environment (table, cupboard, room) and determine it in relation to other known things (table, cup, plate) to what it "is". That is, we circumscribe its existence by comparisons. It is also being stabilized by external and internal interactions (pouring and drinking, molecular attraction and repulsion). The present text is a very abridged version of a book I wrote out of the desire to examine the structure of our reality from a standpoint unbiased by established teachings, be they academic-scientific, popular-esoteric, or religious in nature. We will begin with seemingly simple interactions in our daily lives, examine how they originate on a deeper level, come to understand the essentials of consciousness, and finally recognize that we create our reality in its entirety. In the course of this quest, we will uncover little-heeded paths to accessing our subconscious, other individuals, and that which can be understood by the term "God". And the solution to the classical problem of free will constitutes the gist of the concepts thus revealed. 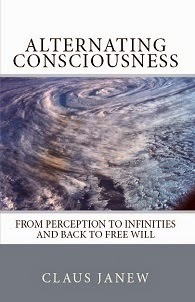 There is no book that explains consciousness in such a clear way as it is given in this book. What is real? What is creation? In his famous book Laws of Form, George Spencer-Brown tries to construct the world from the most simple. 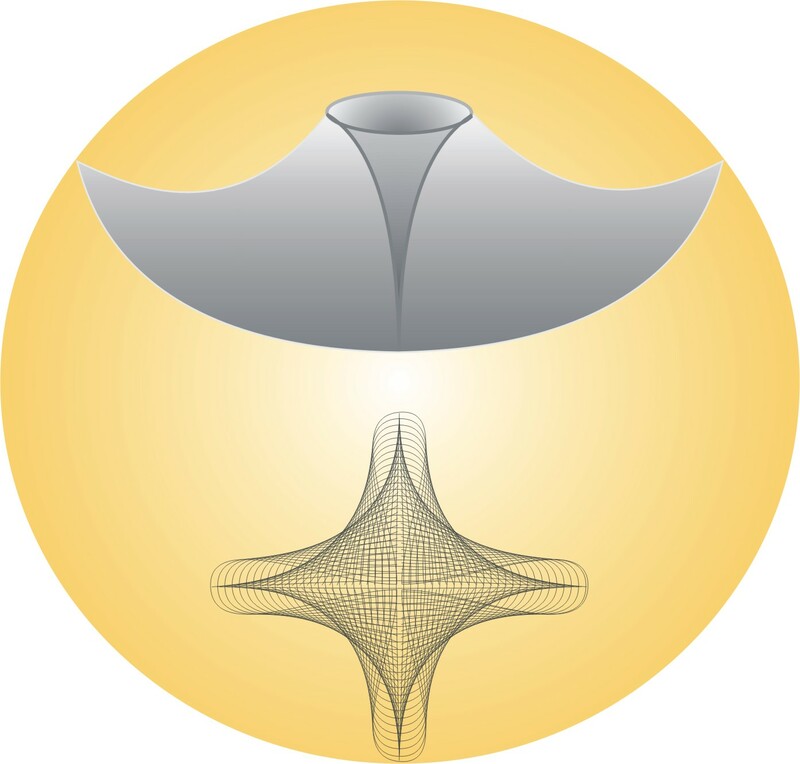 He begins with a simple distinction, a circle on a structureless plane for example. He does not say that this is the only way to begin, but makes the reader simply do it and see what is developing. In addition, he gives more handling instructions, which reduces the most possible to the least possible. I focus on his beginnings – the distinction – and the way how this is interpreted by him (indeed): ”… every duality implies triplicity: what the thing is, what it isn’t, and the boundary between them.” By this the world is digitalized. 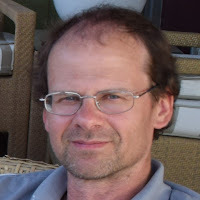 Subsequently, he examines extensions (“… to recross [the boundary] is not to cross [the boundary]”) and reductions (“What a thing is and what it is not are identical in form”). In any case, the boundary remains only boundary, i.e. distinction. 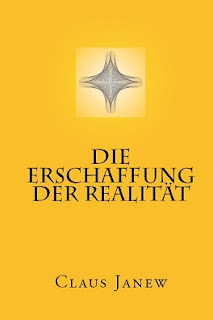 Excerpts from the summarizing chapters of my German book Die Erschaffung der Realität (The Creation of Reality). 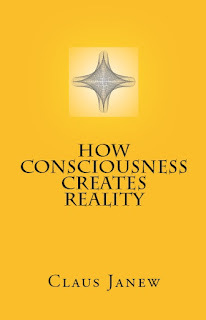 This topic is developed and explained with many examples in the regular chapters of the book and also to a certain extent in its abridged version How Consciousness Creates Reality. Perception of any object is an unique entirety, the summit of an individual maximized in a vanishing small center, and it is only through the transition into its own until then subconscious, how this individual reaches another entirety (another object). The transition can entail an effect after all, something of the preceding object, and the way back a repercussion. This way a new individual, a new summit is being circumscribed, to whom the two former ones are different or not conscious. Ken Wilber's system of four quadrants is a workable concept to put worldviews in an order, I think. Anyway, the reduction from second person to first person plural ignores the essential quality of a dialogue: When I say "you", I do not mean "we", and I also do not mean "I" or "he". These are mere aspects of the "you". The main point is the change of perspective as such, that creates the dialogue, the perception of another individual as itself and so the second-person view. I change my viewpoint to the viewpoint of the other (partly at least) and come back to a new own one and so forth.